I have made a few quilts over the years and I thought I would share some. 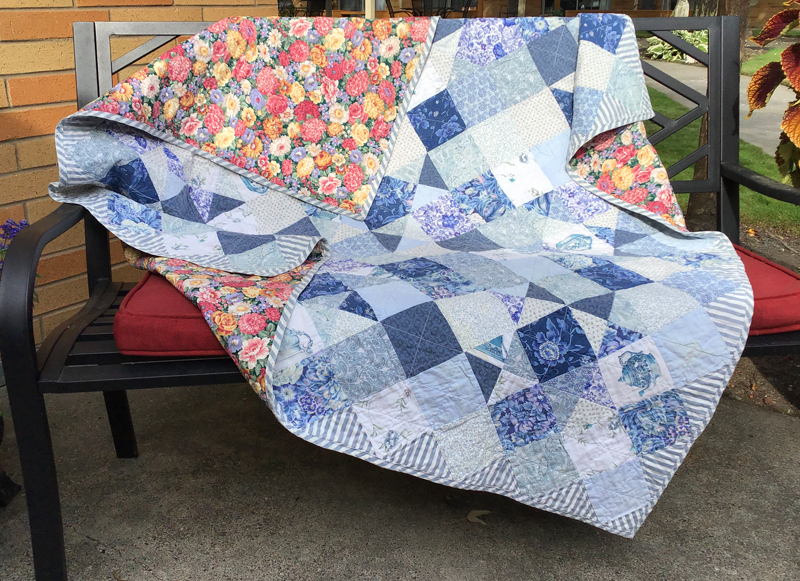 This Blue and White Tea quilt my sister and I made for a family member. This person likes tea, blue and white china and a splash of bright color here-and-there. At the fabric store we picked out all the blues that would go with a tea cup and pot fabric. This quilt is constructed of squares and occasional four triangles making up a square. To give it a slightly formal touch we made the edging and binding out of a simple stripe. Please submit requests in writing to use any of the content on this site for other than idea generation or sharing, stating the end use and medium.